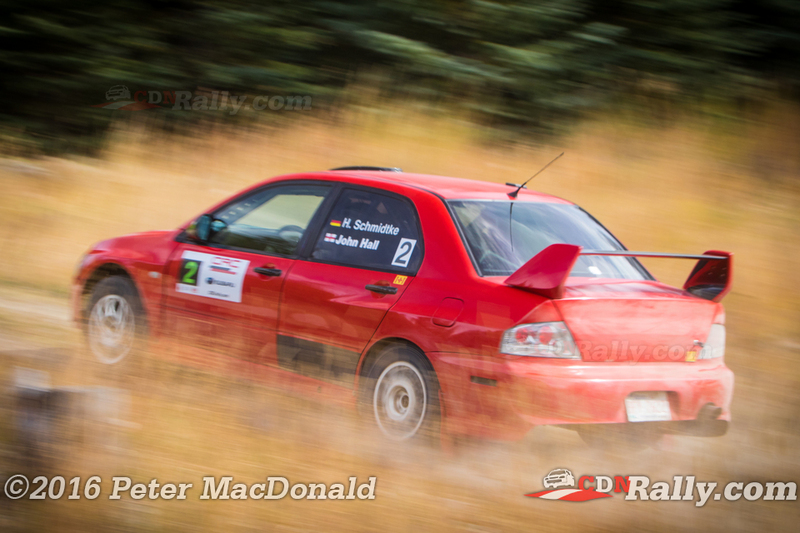 Antoine L'Estage put his season firmly back on track with a decisive victory at the Pacific Forest Rally. 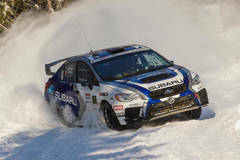 L'Estage and Darren Garrod had a largely uneventful rally, topping the order on every single stage of the two-day event. 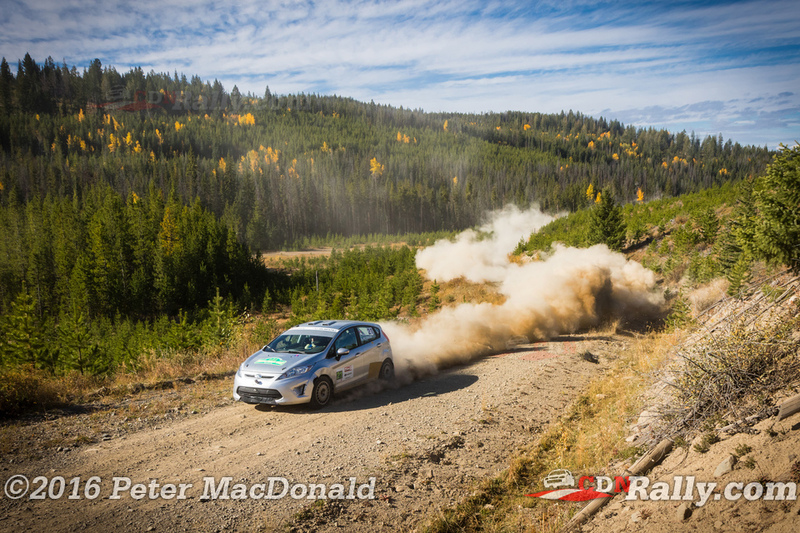 And despite suffering multiple DNFs up this point in his Canadian Rally Championship season, L'Estage's victory moves him up to second in the overall standings. 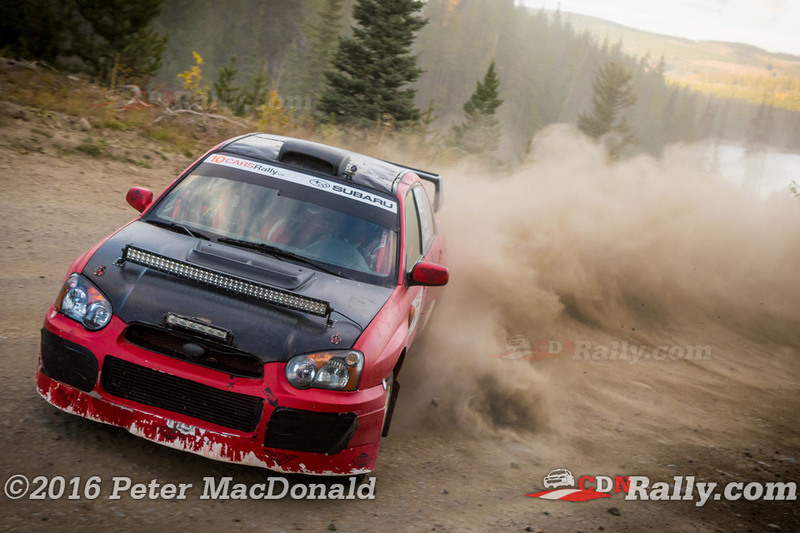 Hardy Schmidtke came to PFR with a rebuilt car after his off at the Rocky Mountain Rally earlier in the year. 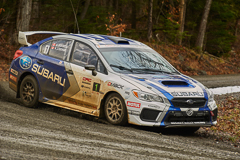 Paired again with regular co-driver John hall, the team had boost issues during Friday's night stages, and then developed head gasket problems as the first day came to a close. 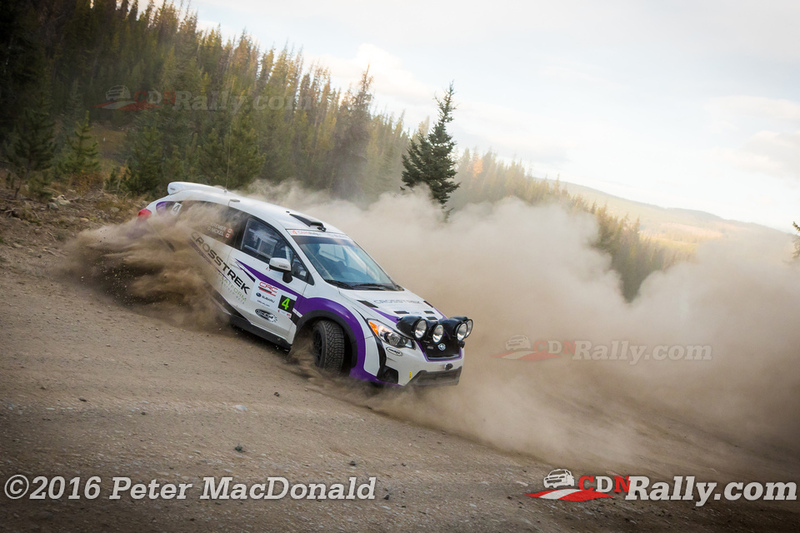 Even though they were resigned to losing time on the following day, Schmidtke and Hall spent most of the rally in second position, before dropping down to third late Saturday. 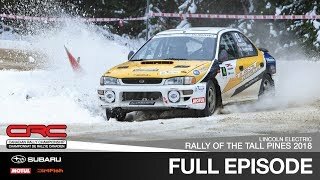 Unfortunately, a broken control arm ended their chance for a podium on the very last stage of the event. 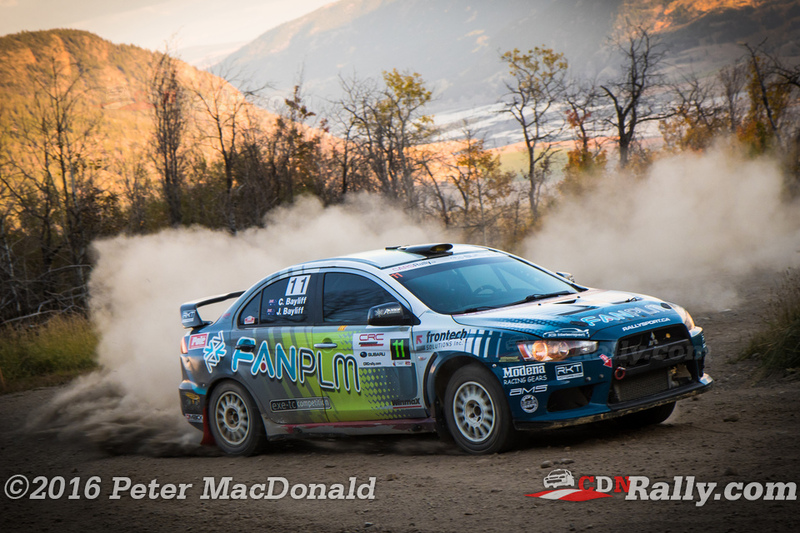 Championship leader Maxime Labrie came to PFR hoping to maintain his lead over L'Estage. 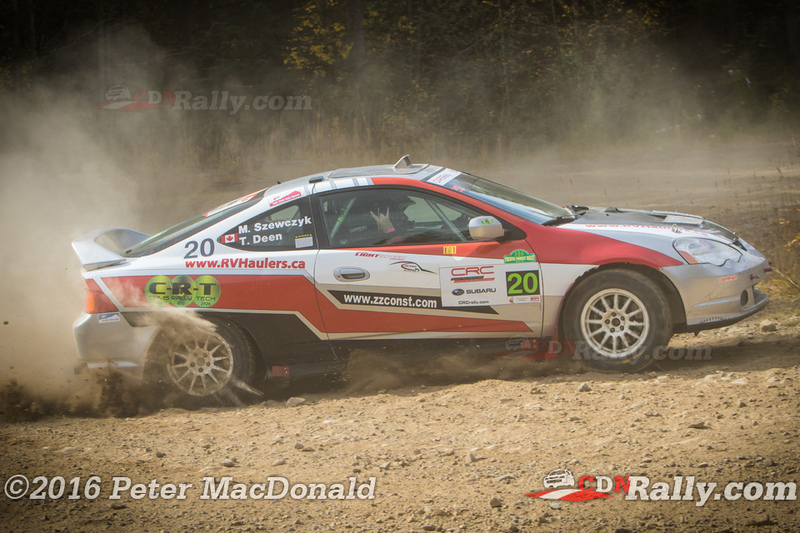 He and Philippe Poirier had an eventful start to their rally, suffering a soft roll early on. 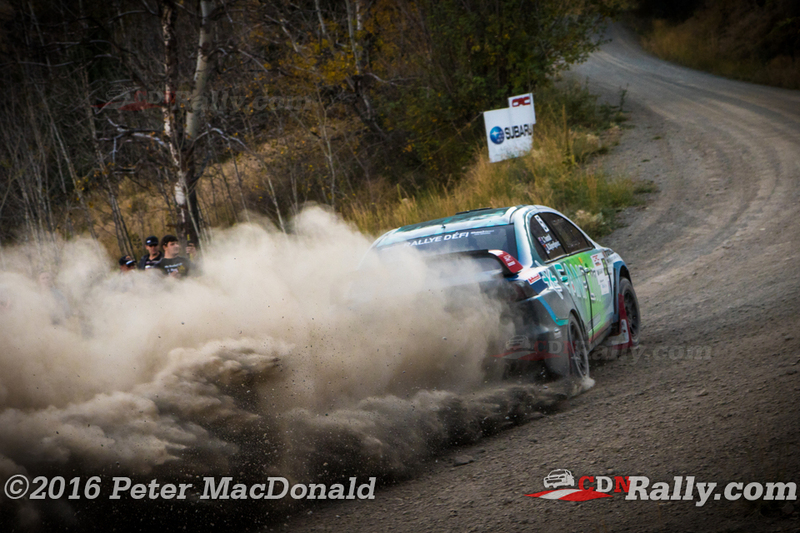 The Quebec crew was able to restart on Saturday morning, but retired with a broken radiator while transiting to the very last stage. Boris Djordjevic benefited from the misfortune of Schmitdke and Labrie. 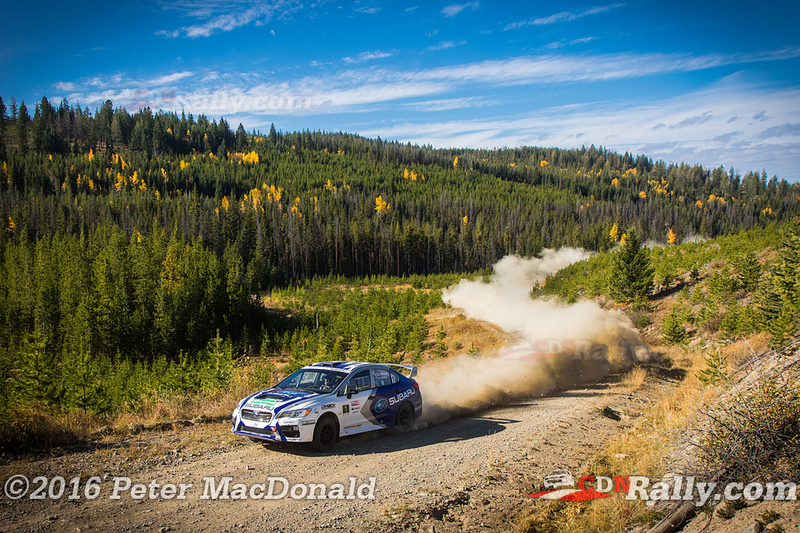 After fighting through technical issues on Friday, he and codriver Cameron Tunstall put down some excellent stage times on Saturday, eventually moving to within striking distance of Schmidtke. And Djordjevic's pace, combined with Schmidtke's mechanical problems, lead to Djordjevic finishing the event in second position. 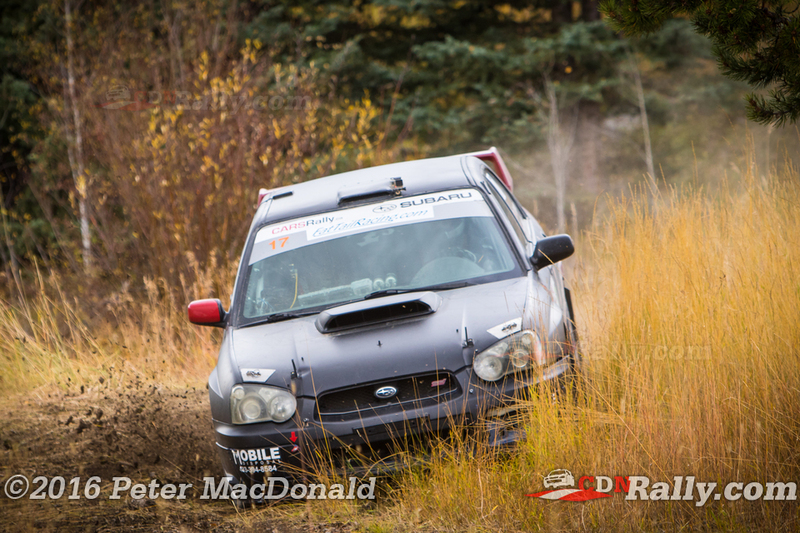 Sam Albert and Michelle Miller had a great opening day of their event, finishing the Friday stages in third overall. 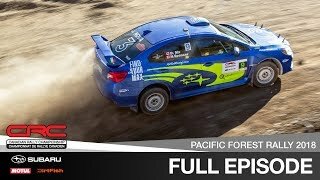 The pair went off hard after the end of stage 6 - but incredibly were able to restart and finish the event, albeit well down the order. 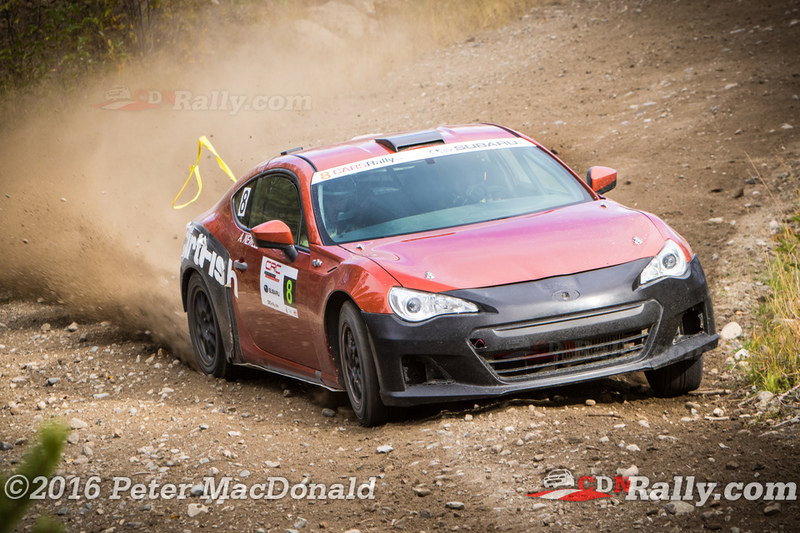 Derik Nelson and Adam Newell rounded out the overall podium in third, after arriving at PFR an absolutely insane Subaru BRZ. 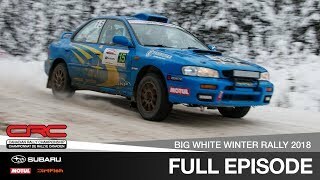 Despite being 2WD, the car runs an unrestricted turbo, meaning that it had to be classified as 4WD Open. 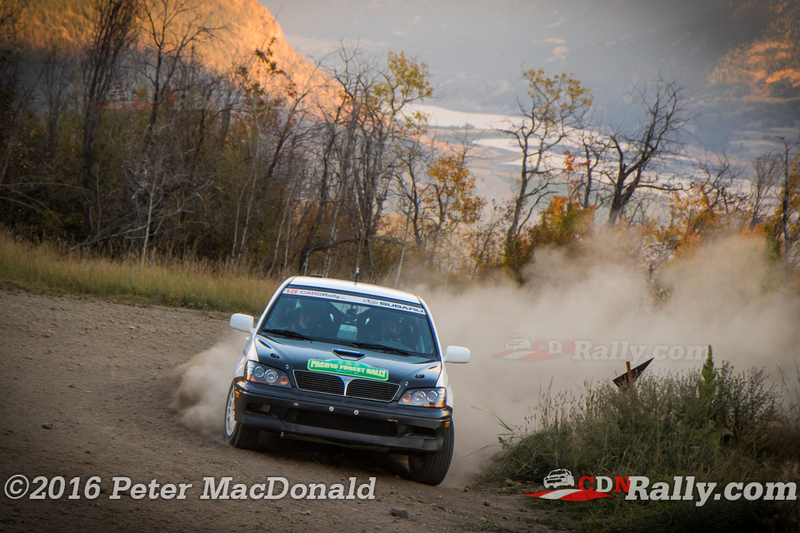 Nelson and Newell ran in the top five throughout the rally, eventually moving into the final podium spot. 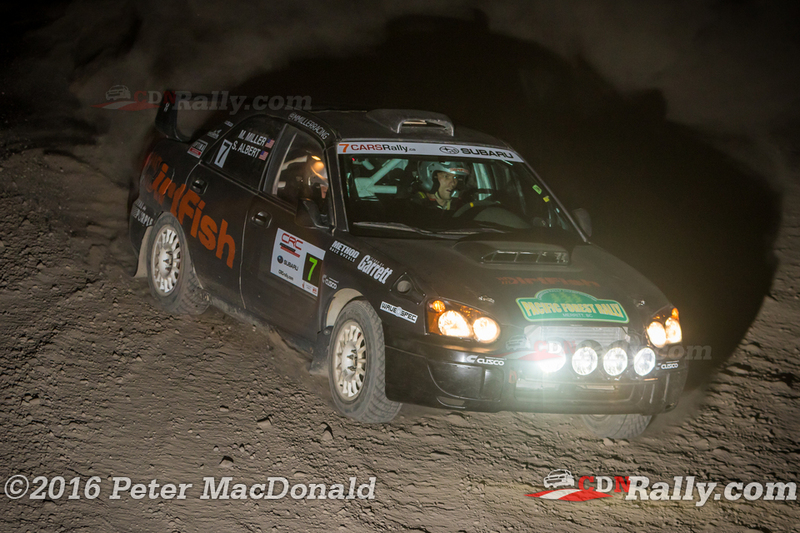 In the 2WD category, Tanveer Deen and Michael Szewczyk took home top honours after taking a steady approach to Friday's night stages, and saving their pace for Saturday. 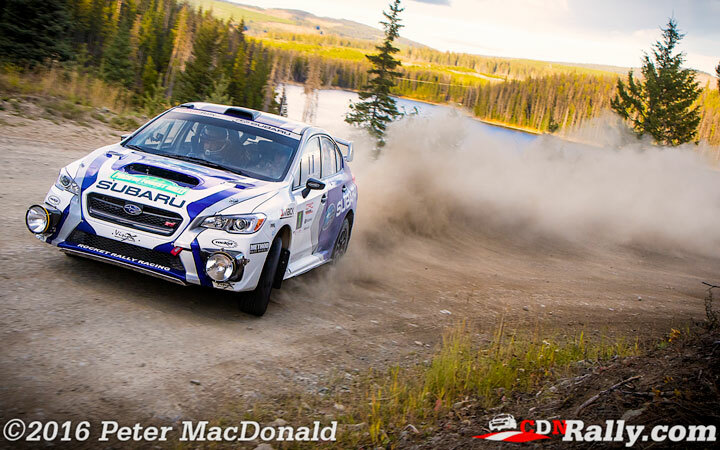 Deen went all out in the final loop of stages, claiming the top spot in class, moving into first on the rally's penultimate stage. Jan and Jody Zedril spent most of the event in first, using their usual steady approach to their advantage. The brothers looked set to win the category, but got leapfrogged by the charging Deen late Saturday. Nonetheless, the Zedrils finished second in class. 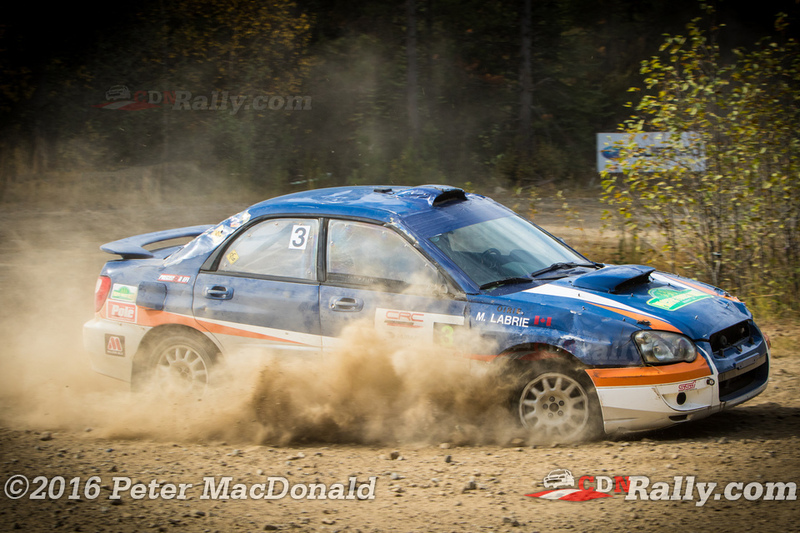 Jason Bailey would have likely won the 2WD class, if not for a 4 minute penalty suffered on Friday. 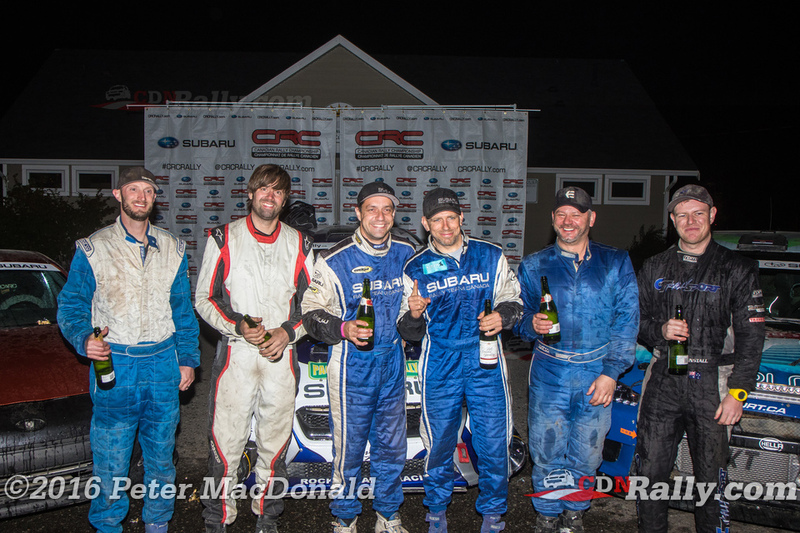 Bailey and codriver Shayne Peterson checked into the Friday finish 4 minutes early, and the penalty was applied as a result. Despite the setback, Bailey finished the event in the final podium spot. 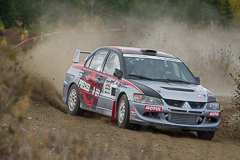 As the Canadian Rally Championship heads back to Ontario for the Rally of the Tall Pines, Maxime Labrie leads Antoine L'Estage by just a single point. Boris Djordjevic trails L'Estage by 2 points in third.